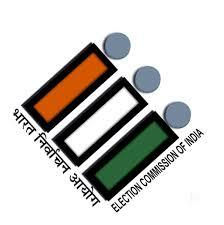 The Election Commission of India (EC) has launched various apps for citizens, candidate and political parties for effective conduct of elections. One such useful tool for voters is the Voter helpline contact centre. Under this universal toll-free helpline number of Election Commission users can dial 1950 to connect directly to District Contact Centre. All Districts and CEO Office across all States and Union Territories have established Contact Centre to provide Information and register Feedback, Suggestions and Complaints. The EC says that any user can call 1950 and obtain information about his Voter details in the electoral roll, check for the status of his enrollment application and also lodge grievance. The EC has integrated use of smart technology by making the optimum use of smartphones and tablets, etc. With the use of various voter-friendly apps, which are customised as per the need of the voter, the Election Commission aims at bringing the latest technologies to use for further improvement of the overall efficiency of various Lok Sabha election activities.